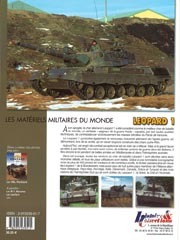 140 pages, Hard cover, full-colour photos, French language. Yves Debay was one of the great miltary photographers and journalists. His passing in January 2013 was a great loss to us all. This book is a lasting tribute to his work. 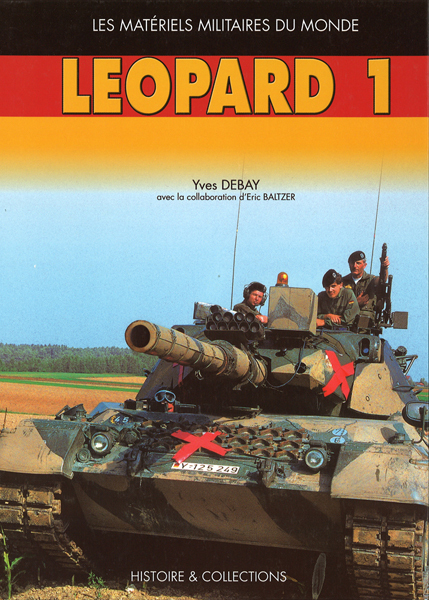 I regard this Leopard 1 book very highly as reference and inspiration. 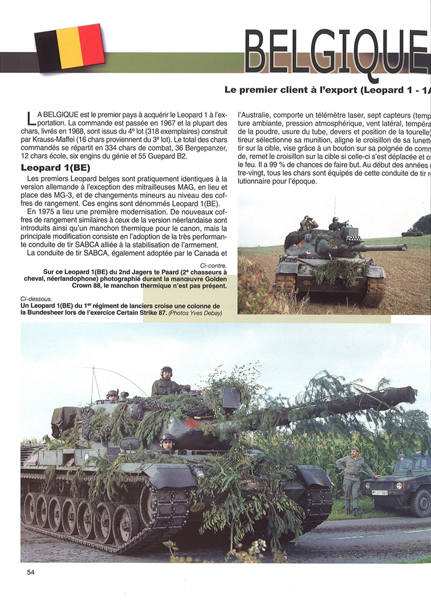 It is an absolute must have for action photos of Leopard 1 in use around the world. 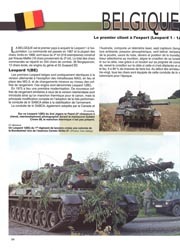 Every page is packed with marvellous photography that concentrates on the main battle tank. 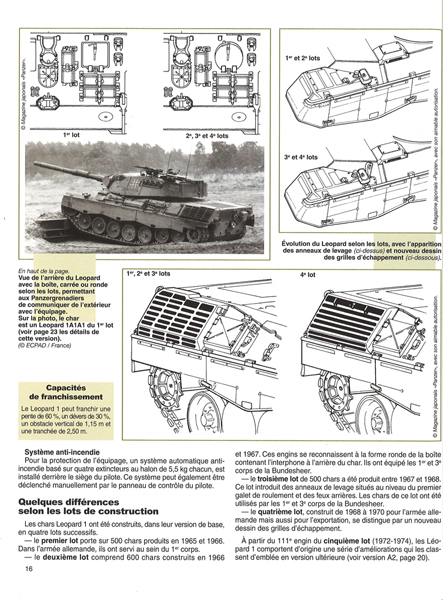 Coverage of the special purpose vehicles is very limited and is relegated to a few pages at the back of the book. 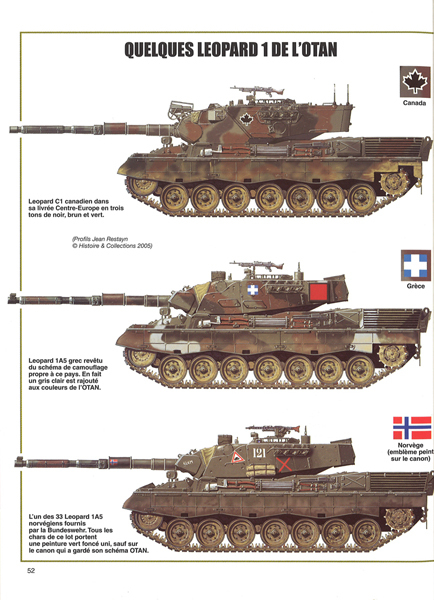 It starts with an extremely useful chapter describing the vehicle's salient features with some interior, engine and close-up shots, sketches and line drawings describing the different versions of the main battle tank. 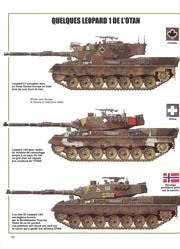 Leopard 1 is described in service with the Bundeswehr including colour plates from Jean Restayn describing colour scheme changes. 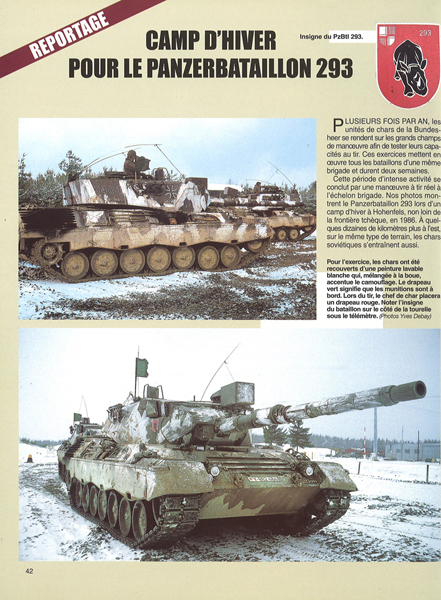 Then we are given reports of the tanks in various Bundeswehr units: 10 PanzerDivision; winter exercise with PanzerBataillon 293; PanzerBataillon 134 during REFORGER 85; Reconnaissance force Leopards; PanzerBataillon 14; PanzerBataillon 403. The majority of the book then goes on to tell us about Leopard 1 use around the world with descriptions and wonderful colour photos from the following countries: Belgium, Holland, Norway, Denmark, Australia, Canada, Greece, Turkey, Brazil and Chile. The only slight disappointment is that occasionally very similar photos appear of the same tank from the same angle and some countries only receive quite brief coverage (i.e. Australia). 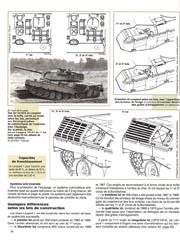 However, this is a marvellous book which not only appeals to the eye, it is also full of information and inspiration. 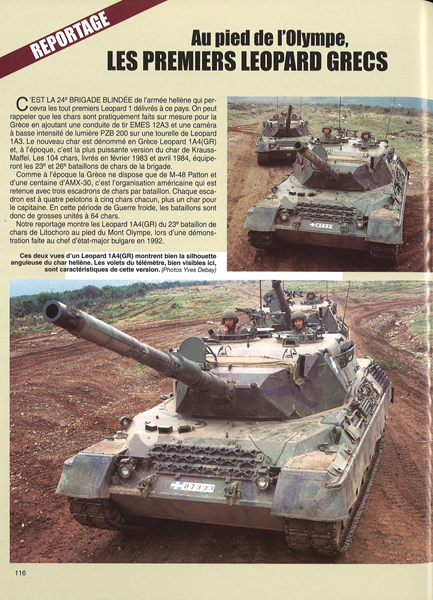 Don't let the French language put you off. If it does you will miss out on a great book from a great author!